← Who are Called to the Prayer Ministry? 1. All members of the priesthood are appointed, called, and born into it. Just as Aaron’s sons were born into the priesthood, New Testament believers are also spiritually born into the priesthood when they are saved. 1 Peter 2: 9 says of the church, “But you are a chosen generation, a royal priesthood… that you may proclaim the praises of Him who called you out of darkness into His marvelous light.” Therefore, every New Testament believer has a right to the priesthood. Every son may not exercise his right or even understand that he is a priest; nevertheless, he is. We who believe are all priests, and we all have a right to it and to all the benefits that the priesthood brings us. 2. All those who are born into the priesthood are pure—without defect. Just as the Old Testament priests had to be without defect, all believers who make up the church are also pure. Christ has made us pure by His saving grace. He has cleansed us by His blood and washed us by the water of His Word so that we are spotless, without blemish (Eph. 5:27). Hence, we are fully qualified as priests to do the work of a priest. 3. All those whom God has chosen for the priesthood He has set apart for Himself. God instructed Moses saying, “…you shall separate the Levites from among the children of Israel and the Levites shall be Mine” (Nu. 8:14). Again God said to Moses, “Bring the tribe of Levi near” (Nu. 3:5-65). Therefore, as we see in these verses, God chose the Levites as priests so that He could possess them and be near to them. God has also separated the church, the New Testament priests, for Himself. Listen to this prayer of Jesus’ for His disciples: “I do not pray for the world but for those whom You have given Me, for they are Yours. And all Mine are Yours, and Yours are Mine…” (Jn. 17:9-10). Jesus prays here for His twelve disciples, but this prayer can also be applied to all of the church. We who are members of the church and who are His holy priests are all His and the Fathers. We have been set apart for Him. Ephesians 2:13 says, “But now in Christ Jesus you who once were far off have been brought near by the blood of Christ.” Yes, Jesus died for us to bring us near and to keep us near. For we are His own special people, created for His possession and pleasure. 4. God has appointed every priest to bless Him and praise Him. God has loved all of the people of Israel; but the tribe of Levi He had a special love for. He chose them not only to work for Him and serve him, but also to be near Him and to bless Him (Deut. 21:5). 5. God has given every priest the duty of interceding for people. Like Samuel, every Levite priest offered up to God an animal as a sacrifice for the sins of the people, and prayed for the people (1 Sam. 7:8-9). Similarly, we as New Testament priests are to offer up in our prayers the Lamb of God. He gave Himself as a sacrifice and as a ransom for our sins and for the sins of the whole world. Therefore, we as priests are to present Christ to God as the sacrifice and payment for the sins of the people we pray for. And, like Samuel, when people come to us and ask us to pray for them we must not fail to cry out to God continually for them. This is the duty and responsibility of every Christian priest. Since New Testament believers are also priests we have this duty too. Some of us may think that only the pastor should preach and teach the Word. If you look at verses like 1 Timothy 3:2, which speaks of an overseer, that an overseer must be able to teach, you may get that impression. But that impression is not true. The verse is just saying that an overseer must be able to teach, not that anyone else should not teach. In fact, in Colossians 3:16 Paul tells the Colossians that they (all of them) should let the Word of Christ dwell in them richly in all wisdom, “teaching and admonishing one another.” Also in Hebrews 5:12 Paul writes that all Christians should be teachers. Here Paul is rebuking them for their immaturity. He is saying to them, “Why aren’t you teaching? You ought to be teachers! But you can’t teach anyone because you haven’t been diligent to study the Word of God. You still need someone to teach you.” Therefore we get from this passage that God wants all of us to eventually be teachers. If we devote ourselves to studying the Bible as Ezra did, it shouldn’t take long before we are able to teach. Don’t neglect this priestly duty. Teach the Word to someone whenever God gives you the opportunity. And don’t worry about all the things you are ignorant about. Just teach what you know to be true and God will bless you for your obedience. 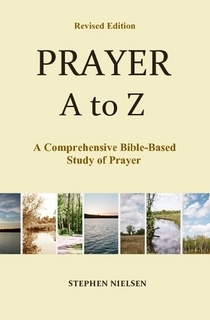 This entry was posted in Ministry of Prayer, Prayer A to Z Excerpts, Prayer Ministry and tagged intercession, prayer, Purity. Bookmark the permalink.